TRIPLE NUTRITION FOR YOUR HAIR OR GIMME THAT ETHNIC STUFF! 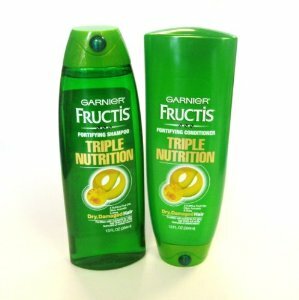 My new Shampoo for the summer is: GARNIER FRUCTIS TRIPLE NUTRITION. Why the name "Triple Nutrition"? Cause it uses 3 different oils: Olive oil, Avocado oil and Shea oil. Sounds nice! It is for dry, over-dried or damaged hair. Well, that is me, how did they know that? So, they try to change my hair into silky, radiant hair which is full of life. Let´s see if Fructis can do that! The smell of this products is -like all Fructis products- in the citrus area which I really like- it smells fresh but it is not overpowering, perfect for the summer time. The Shampoo is yellow and clear and very fluid. It cleans gentle, but does not foam a whole lot though. I find it is always easier to wash hair if the shampoo foams a bit. The conditioner has the same fresh citrus scent and I have to say it does a really good job conditioning. As mentioned: I have really dry hair and it needs tons of conditioner or I get tears in my eyes while combing it afterwards.I could already feel a difference when I washed the conditioner out. My hair felt smooth and soft and it was also not too hard to comb through the mess on my head. Overall I´d give the Shampoo a 7 out of a 10 and the conditioner gets a 8 out of 10. Price each around $6. 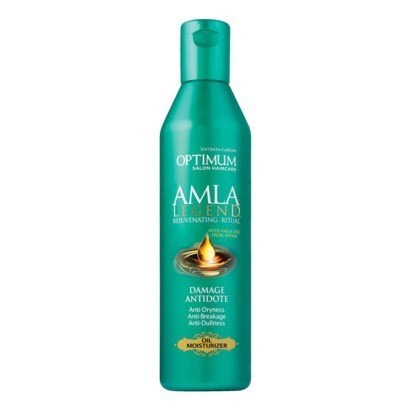 To top it off I used OPTIMUM AMLA LEGEND (just because the bottle is also green- hehe! ), a light-weight replenishing oil moisturizer to help fight dryness, dullness and frizz while also strengthening hair. Yes, again: that's me! So, please do what you promise, little pretty bottle (I really like how the bottle looks!). WOW! This product smells amazing! It has a truly luxurious fragrance! (It reminds me a bit on the smell of Loreals Eversleek Shampoo with Sunflower.) It is very rich and creamy- so the name "oil moisturizer" might be misleading if you are expecting an oil. So, it is a creamy, super soft white-yellow texture and it made my hair so super soft! It is made with Amla oil which comes from India. Indian women always have very healthy shiny hair and they have been using Amla oil since thousands of years, so finally we can use this stuff too! When I googled this fantastic product, i found out that it is made for ethnics. I had no clue that this product is intended for ethnics. But what do I care? It is a super awesome product for dried out hair and after only one use my hair feels already different! I do not recommend this product if you like to wear curls though cause it weighs your hair down. I liked it cause it made my hair nice and shiny and straight. I will definitely buy more out of this OPTIMUM AMLA line! This product made me think to try out more ethnic hair products! Just like baby stuff can not be bad for adults, ethnic stuff can not be bad for other people, right? SO, GIMME THAT ETHNIC STUFF! I give this hair moisturizer a 10 out of 10! Price around $7 (I find this really a bargain for what you get!) at Walgreen's. How about you? 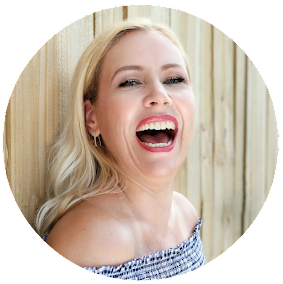 Have you tried these products yet? What is your opinion? Let me know!